The Greek National Tourism Organization (GNTO)announced that it expects a record-breaking 30 million international visitors to Greece for 2017. This represents a growth rate of 7%, or an additional 2 million additional visitors over the previous year. 900,000 U.S. travelers are expected to visit the country this year. For the last two years, Greece’s growth has been nearly twice the global industry average of 3.9 percent, as reported by the World Tourism Organization (UNWTO) in January 2017. The World Travel & Tourism Council estimates that tourism in 2017 will help boost the Greek economy by 6.9 percent, and will boost employment by 6.3 percent, supporting nearly 1 million jobs and representing 20% of the country’s GDP. One in five jobs created in Greece is related to the tourism sector. Tourism is essential to Greece’s effort for recovery and prosperity. Every 30 or more tourists visiting Greece, creates one new job for a Greek. A distinctive and unique characteristic of Greece, “philotimo” represents a sacred honor, promise and the spirit of its people. The word, which has no real translation, conveys tolerance, open arms, and open-mindedness to all visitors, and transcends religion, race, color or creed. It invites travelers to experience Greece as family members and guests. 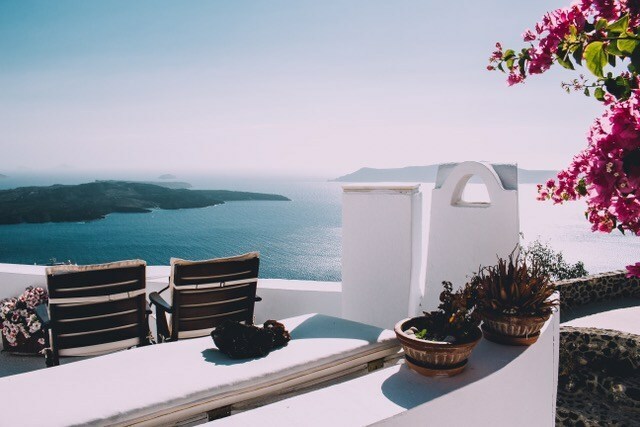 New flights and connections will make traveling to Greece easier in 2017, including daily year-round service by Emirates to Athens from Newark Liberty International Airport. Destinations such as Kos, Rhodes, Mykonos, Santorini, Corfu, Kephalonia, Zakynthos, Aktio and Thessaloniki now have direct flights or connections to a larger number of European cities, as well as the U.S., China, India, Russia and Israel.